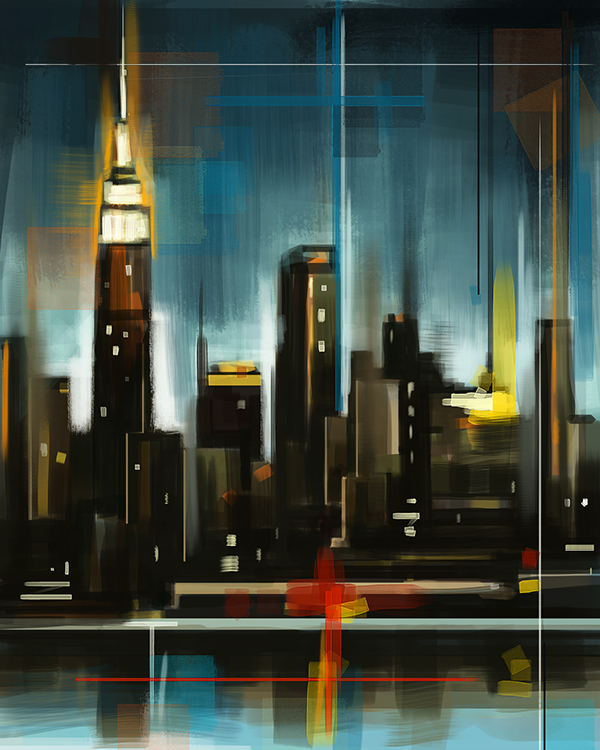 Impressionistic styled painting of the NYC skyline, playing around with new brushes and textures in Adobe Photoshop. 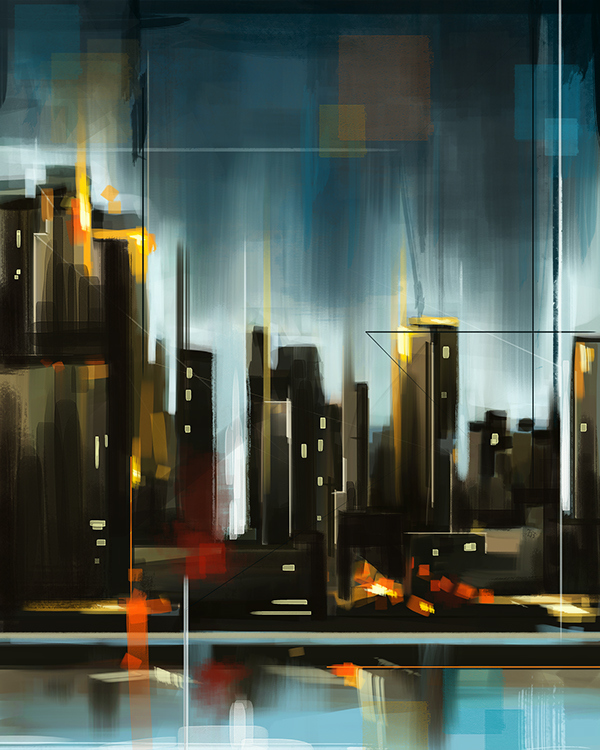 Prints available upon request, cheers and enjoy! 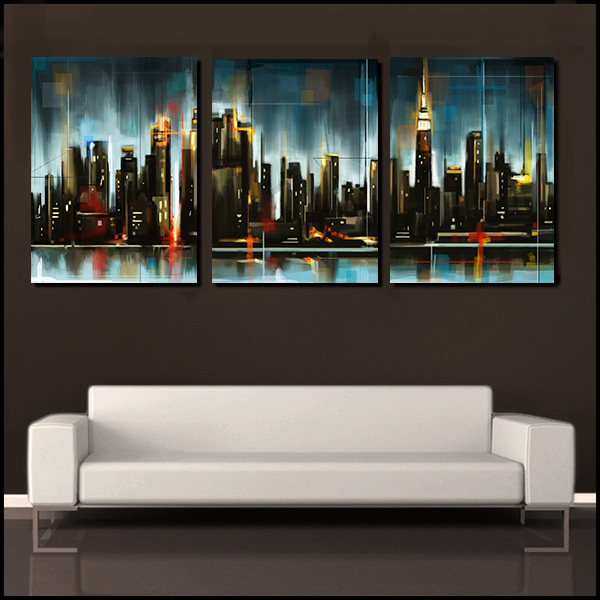 Impressionistic styled painting triptych of the New York City Skyline. 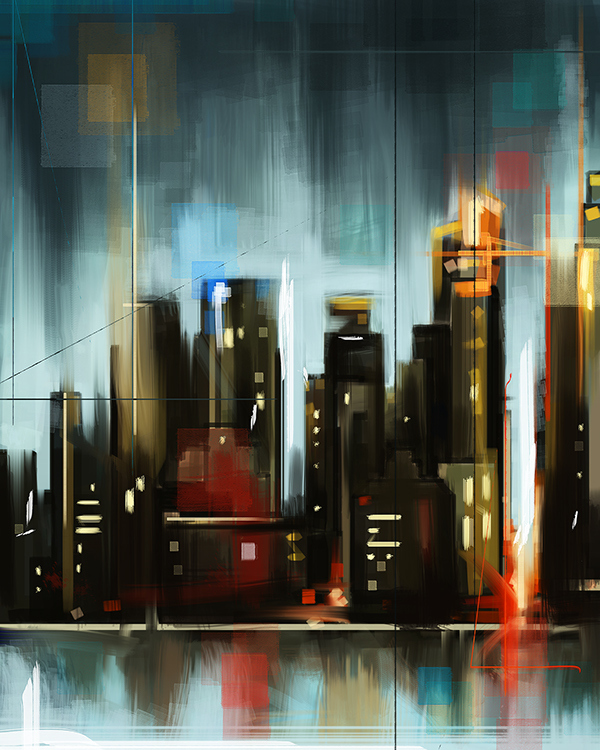 Quick Personal Project.